Intel has finally come up with their latest 8th generation Coffee Lake processors for Desktop users. These new 8th Generation Coffee Lake processors offers major improvement over the previous Skylake (6th generation) and Kaby Lake (7th Gen.) processors, as they are faster and comes with more cores and cache compared to their equivalent counterparts in previous generations. Intel Coffee Lake processors are built on the 14nm manufacturing process. 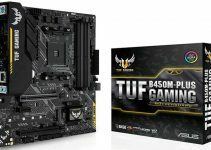 These processors come with LGA 1151 Socket but due to their different pin-layout, Coffee Lake processors are not compatible with the previous Skylake and Kaby Lake motherboards. These 8th generation Intel processors will only support the new Intel 300 series Z390, Z370, H370, B360 and H310 motherboards. If you are thinking of upgrading your PC or looking to build a new PC for gaming and professional work then it is better to go for these 8th generation Coffee Lake processors, because of their better performance and future upgradability. 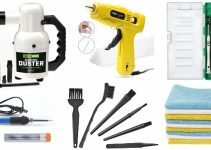 Here in this post I am going to list down the best budget coffee lake processors from Intel for building a gaming PC or a powerful workstation. Let us first now look at the new features in the latest Coffee Lake Processors. The increase in the number of cores and cache in the Coffee Lake processors went up to 4 Cores and 6MB (8MB in i3-8350K) for Core i3, 6 Cores and 9MB for Core i5, and 6 Cores and 12MB in case of Core i7 processors. The latest 8 Gen Core series processors will now support higher speed DDR4 RAM and has discontinued the support for DDR3 RAM. Although the new Coffee Lake CPUs are faster and has got higher specs but their power consumption remains the same as Kaby Lake processors. Here are the best Coffee Lake processors for the money. These include Intel Core i3 and Core i5 processor models and all of them include support for Intel Optane Memory. Intel Core i3-8100 is an entry level and a budget Coffee Lake processor that you can get for your budget gaming PC or for professional work. This is a true quad-core processor that has got clock speed of 3.6 GHz and comes with 6MB cache. The processor comes with Intel UHD Graphics 630 graphics which is sufficient for running older games on 720p or 900p resolutions, running 4K video and watching Blu-ray or FHD movies. The maximum power consumption of this processor is 65W and it comes bundled with fan and cooler. 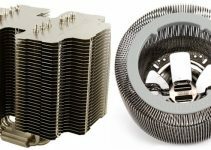 I would certainly advise you to get a good budget aftermarket CPU cooler for this processor because the stock coolers are not good enough for these fast processors. 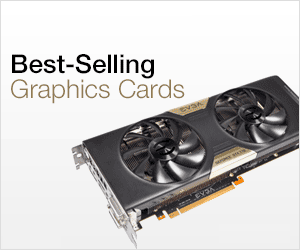 When paired with a good mid-range graphics card, you can easily play all the latest games on high graphics settings at 1080p using this processor. The introduction of more cores and higher cache in the Coffee Lake processors has really changed the whole game. This is because this Core i3-8100 processor can be easily compared to the seventh generation Core i5 7400 and Core i5 7500 processors that have got almost same specifications but comes with a much higher price. So, now by getting a Core i3-8100 you can expect the same performance of the previous mid-range Core i5 processors at much lower price. 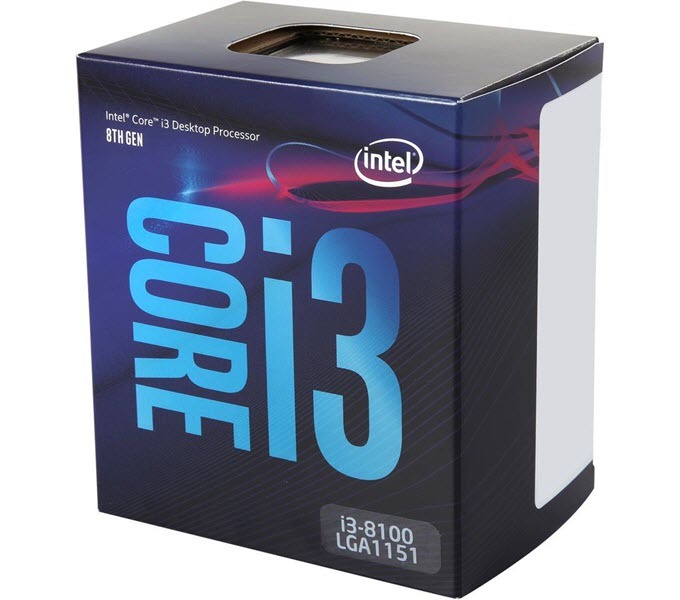 So, if you are on budget and want the best budget coffee lake processor then I think you won’t get anything better than the Core i3-8100.Highly Recommended by me. 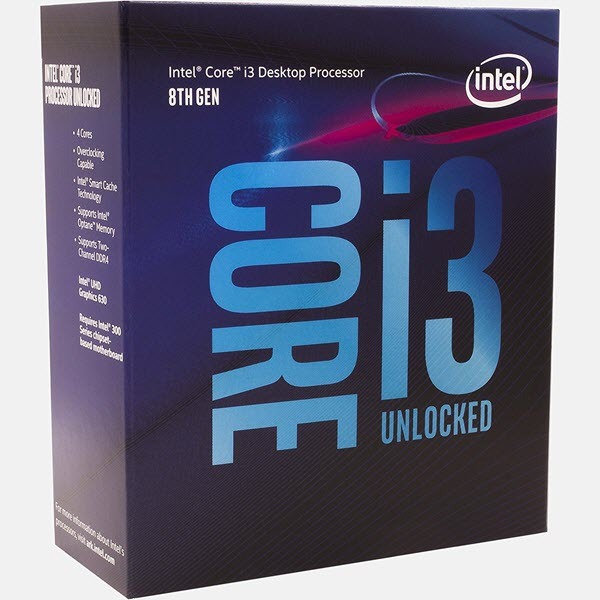 Intel Core i3-8350K is the top of the line Core i3 Coffee Lake processor that comes with much higher clock speed and more cache. This is also a quad core processor that has got clock speed of 4 GHz and comes with 8 MB cache. As it is a K series processor which means it has got unlocked multiplier and you can overclock this processor further using a good liquid CPU cooler or air CPU cooler. This high-end Core i3 processor comes with Intel UHD Graphics 630 integrated graphics and has TDP of 91W which is a bit on the higher side. The performance of this processor can be comparable to the 7th generation Core i5 7600 or even to Core i5 7600K. Core i3-8350K is much cheaper than the high-end Core i5 Kaby Lake processors and it offers almost similar kind of performance. So, if you want a budget powerful processor that can be overclocked then this processor is really a steal. 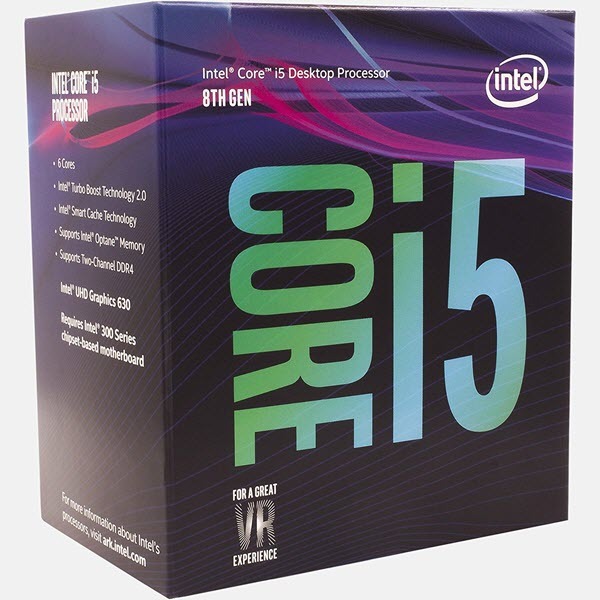 Intel Core i5-8400 is the entry level and a budget Core i5 processor in the latest Coffee Lake processor series from Intel. This is a hexa-core processor and has got Base clock speed of 2.80 GHz and TurboBoost clock speed of 4.00 GHz. The processor comes with 9 MB cache and Intel UHD Graphics 630 IGPU. The processor is very power efficient and has got TDP of only 65 Watts. This is a powerful processor and its performance can be matched against the AMD Ryzen 5 1600 or Core i7 7700 & 7700K Kaby Lake processors. This is a great processor for gaming and when coupled with a mid-range or high-end graphics card, you can play all the latest AAA games on highest settings at 1440p and 4K. Also, you can get processor at a much cheaper price compared to a high-end Core i7 Kaby Lake Processor. Highly Recommended by me. Note: If you want an unlocked Core i5 8th generation processor then you can get Core i5 8600K, but it will cost you way more than the Core i5 8400. The high-end Coffee Lake processors include Core i7 8700 and Core i7 8700K. Both of these are hexa-core processors (six cores) and come with 12MB cache. Core i7 8700K is an unlocked processor and can be overclocked to higher frequencies using a good liquid CPU cooler. Also both of the these 8th generation Core i7 processors supports Hyper-threading and can execute 12 Threads at once which makes them more suitable for heavy multi-tasking jobs and for use in high-end multi-threaded professional softwares or applications. It is no denying fact that the latest Coffee Lake processors from Intel are very fast and offers considerable improvement over the previous generation Kaby Lake and Skylake processors. They are super fast, consumes less power, great for gaming & VR and offers you most value for your money. The successor of Coffee Lake processors will be Cannonlake processors which will be built on the 10nm manufacturing technology. If you have any doubts regarding processors then you can ask me your queries by leaving a comment below.